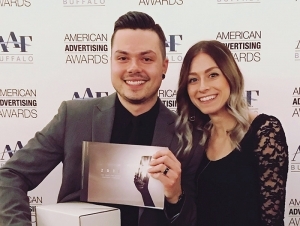 Buffalo State senior graphic (communication) design major John DeJac IV recently won one gold and five silver ADDY awards at the 2018 WNY American Advertising Awards. DeJac was one of 30 college students who submitted entries this year and the only representative from Buffalo State. Only students who are members of American Advertising Federation (AAF) Buffalo are eligible to enter. DeJac’s silver-winning entries ranged from an advertising campaign for Buffalo’s Chippewa business district to an overall branding campaign for local alternative rock band Deep Valleys, in which he sings and plays guitar. He won a gold award for his integrated brand identity campaign for Buffalo State’s newly reconfigured Art and Design Department. The campaign included a logo identity, logo animation, stationery design, website design, interior-wayfinding and wall graphics, promotional items, and an exterior-identity installation. The judges were quite impressed with DeJac’s style, said AAF Buffalo President Tim Bouchard. “One individual winning six awards is pretty rare,” Bouchard said. 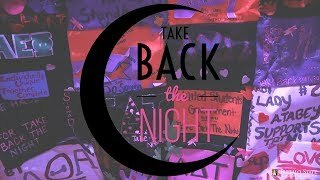 DeJac learned about the AAF competition from two graphic design professors who noted that winning an ADDY provides great “street cred” for student designers and enables them to get their work in front of local industry leaders. DeJac submitted nine pieces of his best work, half of which were projects he completed in his Graphic Design and Web Design II courses. Growing up in Clarence, New York, DeJac played music in multiple bands and originally thought he’d major in music production. After coming to Buffalo State, he realized graphic design was the career path he wanted to pursue and added a minor in digital music production. Currently completing an internship with a local advertising agency, DeJac hopes to land an agency job when he graduates in May; he aspires to start or manage a creative agency in the near future. He’s definitely on his way with six ADDYs in hand. Pictured: DeJac at the 2018 ADDY awards with his wife, Kelsey.